Knitted in a multiple of 2 sts + 1 and 2-row repeat. 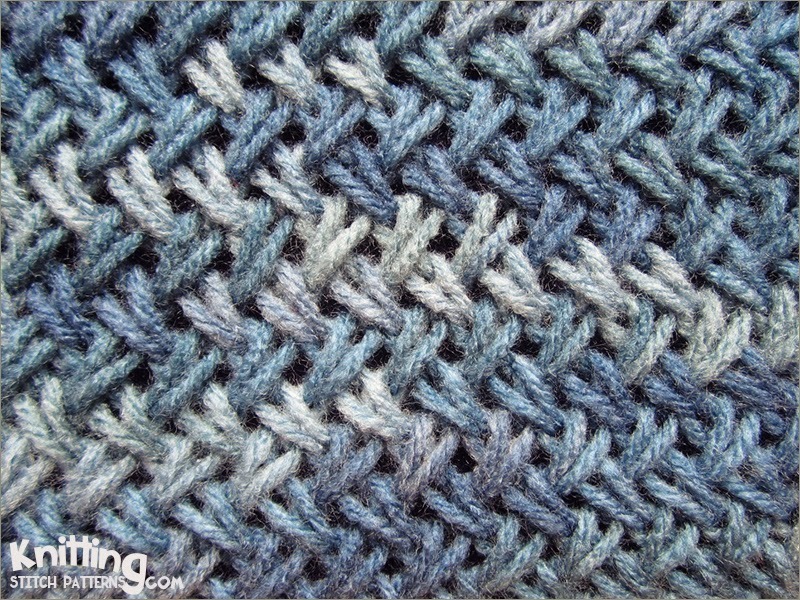 Row 1 (Right side): Slip 1 with yarn in back, * knit through the back loop of the second stitch on the left needle, then knit through the front of the first stitch, and drop them both from the needle at the same time; Repeat from * to end. Row 2 (Wrong side): Slip 1 with yarn in front, * purl the second stitch on the left needle, then purl the first stitch, and drop them both from the needle at the same time; Repeat from * to end.